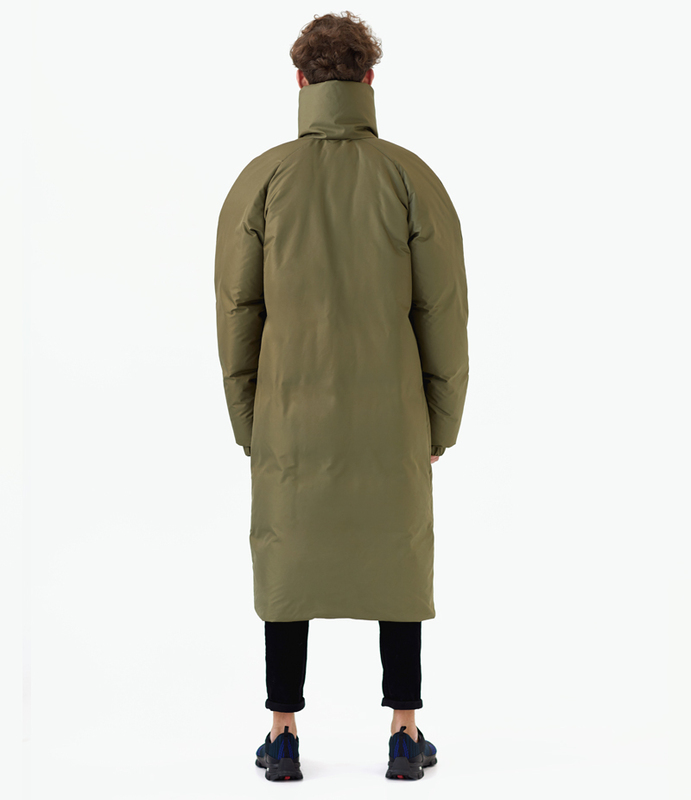 Maxi downcoat in unisex style. The silhouette of the jacket is a rectangle. This style is ideal not only for any hight. Down coat, with functional pockets on the front of the product. 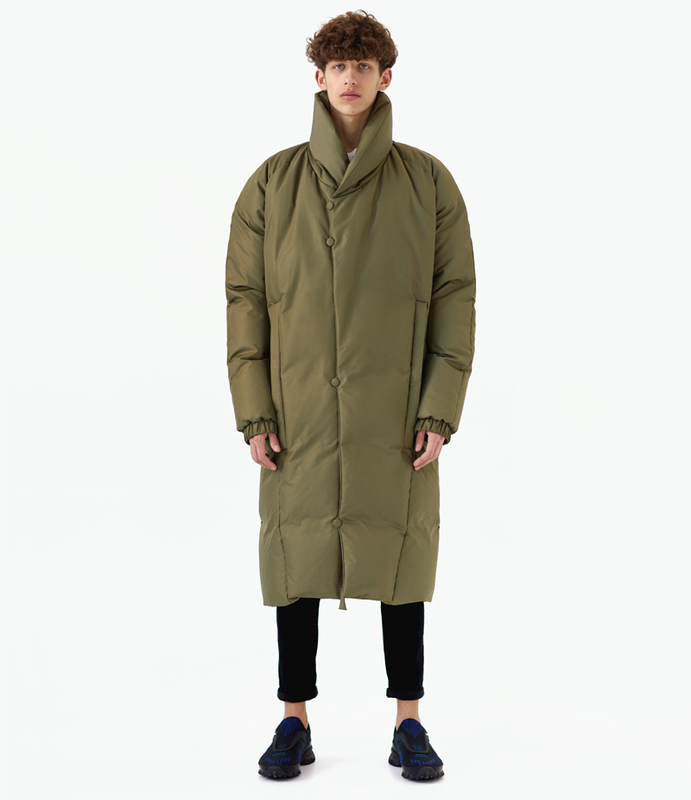 The downcoat is made of rain/snow and wind proof fabric. Puffer made in trendy color – khaki. This shade for several seasons is mentioned in the trendy selection from Pantone. The down jacket is completed by an unusual collar-shawl. 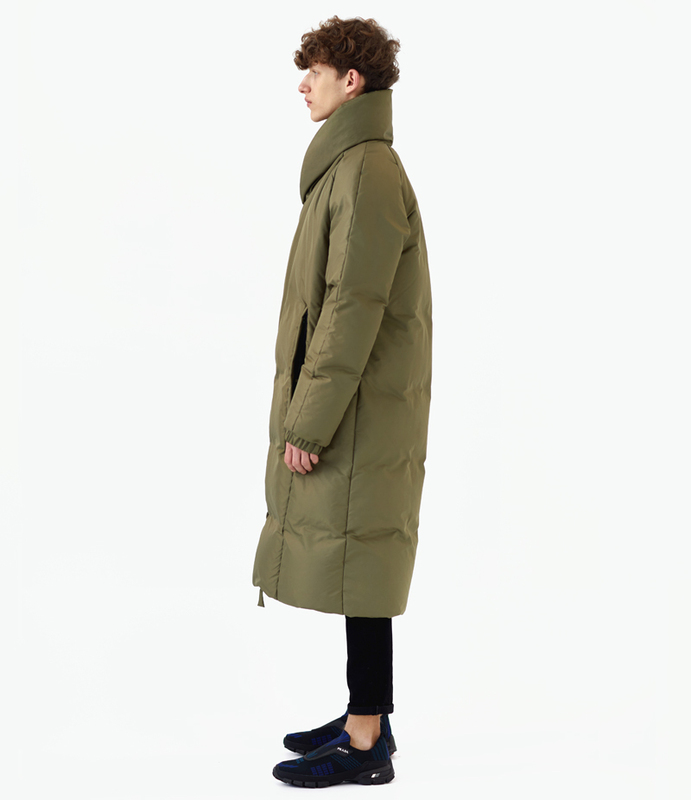 The cut of puffer is comfortable to wear. The lining of the product is made in the color of the jacket and equipped with hidden pocket with a zip.